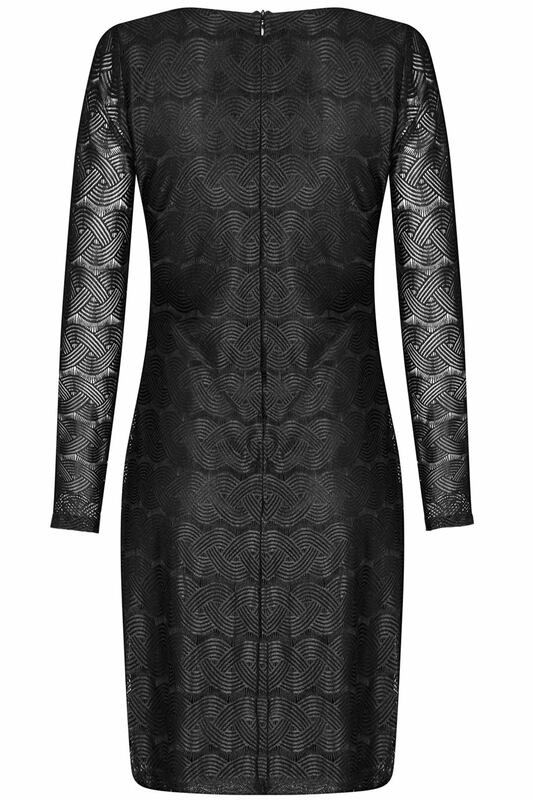 Iska London, Chain-Lace Bodycon Wrap-dress is an über-feminine piece for special occasions and nights-out. 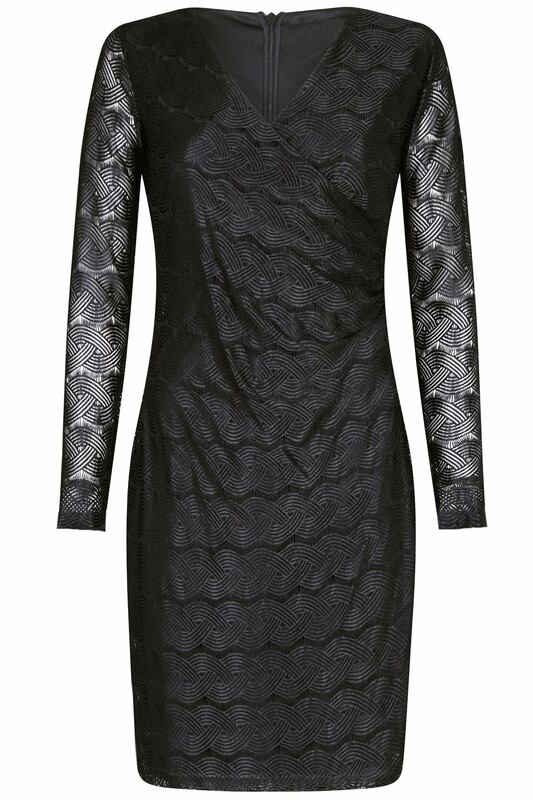 Falling above the knee, the figure-hugging design features a a fixed wrap-front with long sleeves and ruched detail at the side. 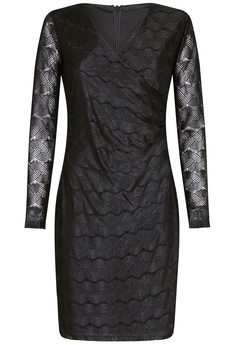 Is made from silky and soft lightweight stretch lace jersey. Has concealed back zip fastening, is fully lined and is approx. 92cm in length. Winter collection. Composition: 95% Polyester, 5% Elastane. Color: Black.